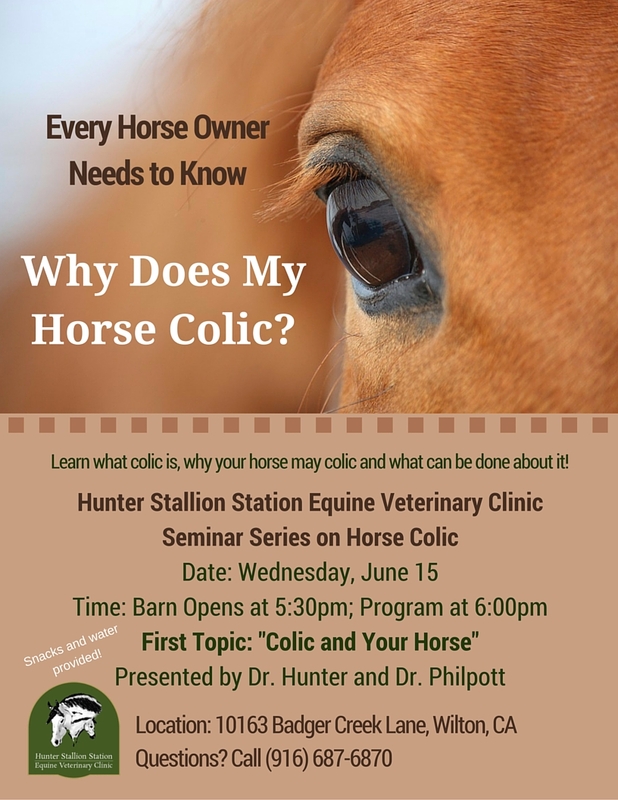 Hunter Stallion Station Equine Veterinary Clinic is hosting a seminar series on the important topic of Horse Colic. Every horse owner knows they may have to experience their horse suffering from this challenging condition. Be prepared with information in advance! Click here to learn more and RSVP for the first in this seminar series that will take place on Wednesday evening, June 15th at Hunter Stallion Station Equine Veterinary Clinic.